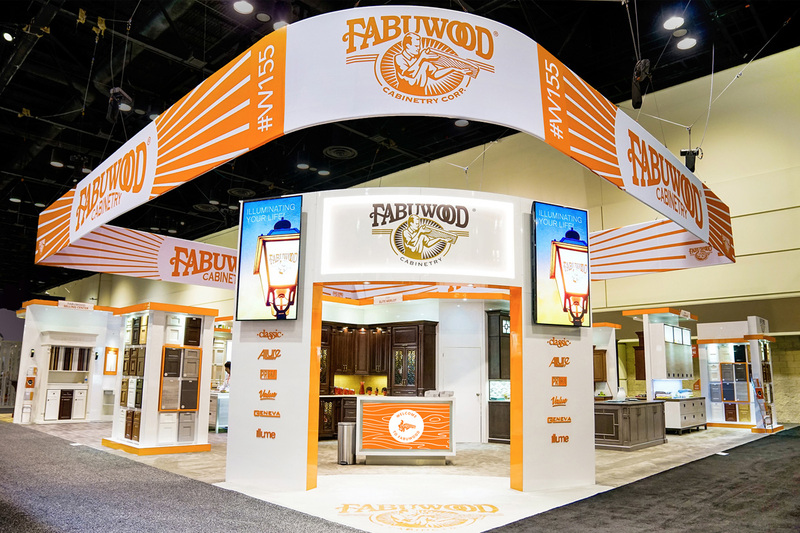 It’s no secret that Fabuwood Cabinetry made a huge statement at KBIS 2017. Our booth, W155, was the ultimate gathering place - attracting designers, builders, homeowners, and fans alike. But it doesn’t happen overnight. We planned, constructed, prepared and brainstormed for many months, achieving results that are evidence of our constant desire to outdo ourselves. Countless people were involved in the project and it was a true labor of love, resulting in an impressive display of 24 kitchens and islands, and numerous other products. We integrated accessories, lighting, countertops and moldings in our displays, exhibiting the endless possibilities of customization. We received instant recognition and admiration from all who stepped through our booth. 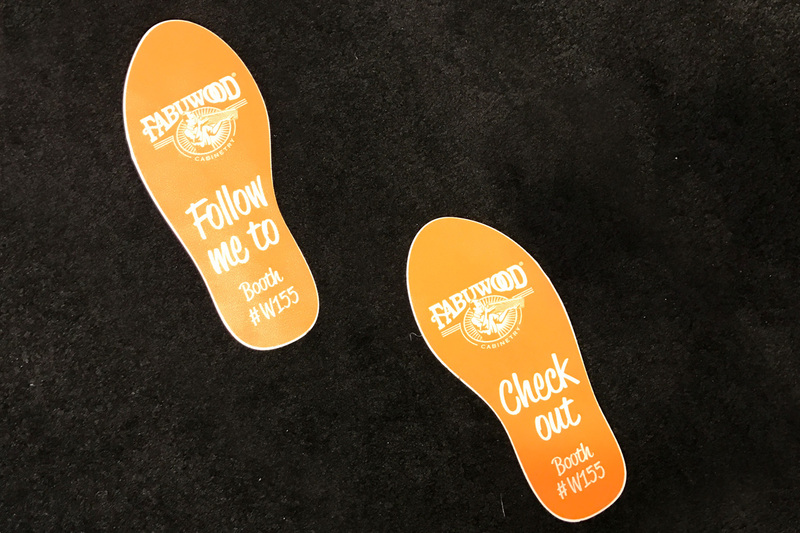 When Mr. Michael Panzer - CEO of Fabuwood Cabinetry – and Mr. Joel Epstein - COO of Fabuwood Cabinetry - did an initial walk-through, they were left speechless and impressively stunned. Although they were involved in every step of the way, seeing it all come together so beautifully left them breathless. Our booth was all about you. While others used props and adornments to embellish their products, we let our merchandise speak for themselves. Our booth design was our products – and that’s what made it so appealing. Additionally, knowledgeable sales representatives were readily available to assist with product information and inquiries. 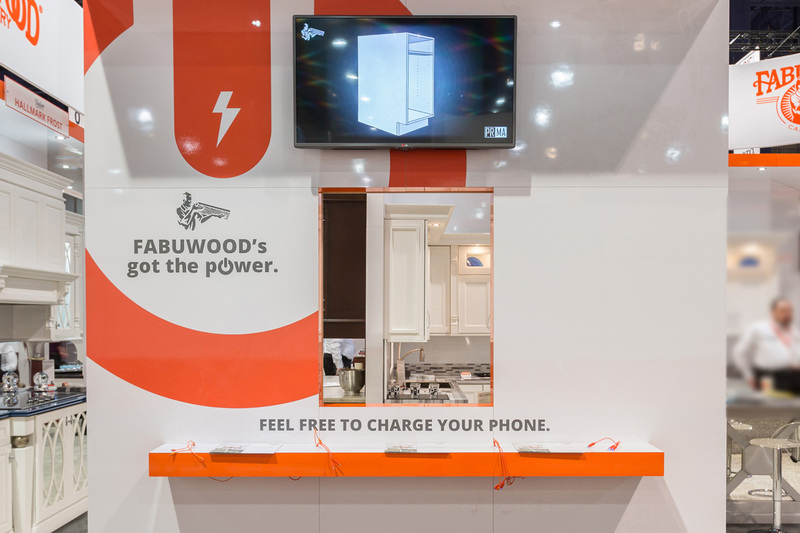 Conveniently equipped with 12 chargers, this designated area allowed attendees to charge their phones while receiving information aboutFabuwood products from the video playing on a TV screen above. 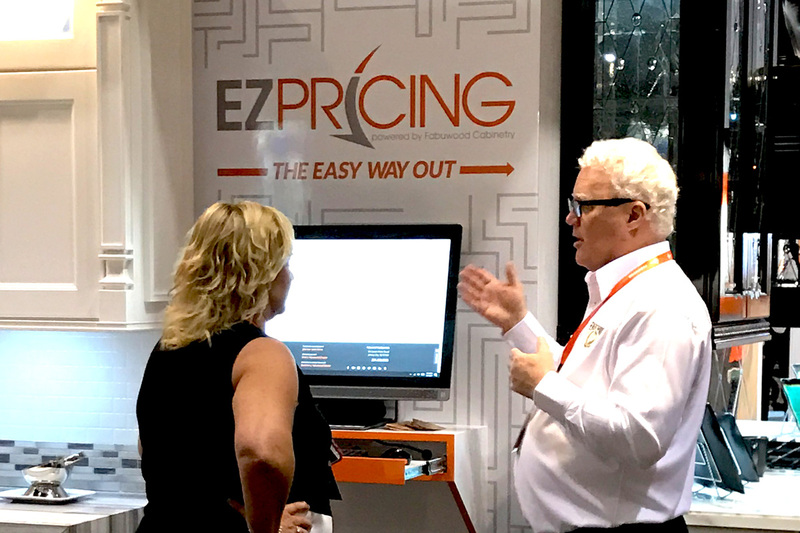 With the gaining popularity of our own online EZ Pricing program, we came prepared for the questions. Our Director of Technology, Sendy Stern, was on hand to offer training and information on this leading program. Its useful integration of 2020 and Pro Kitchens allows for simple online ordering, tracking, quotes, and more. Representatives of the 2020 Design Program visited our booth during their Facebook Live session. They spent some time walking through our display floor to show our products to all those watching. Fabuwood received rave reviews and comments from the viewers. 2020 Design also interviewed Fabuwood regarding our use and integration of their program. Containing an impressive exhibit hall floor, Orange County Convention Center was chosen to hostKBIS 2017. Finding any booth, other thanFabuwood, was a hassle! Ready to welcome you, we made locating us a breeze. Our “footsteps” ran from the entrance directly to our booth. All you had to do was follow the orange steps, and presto! 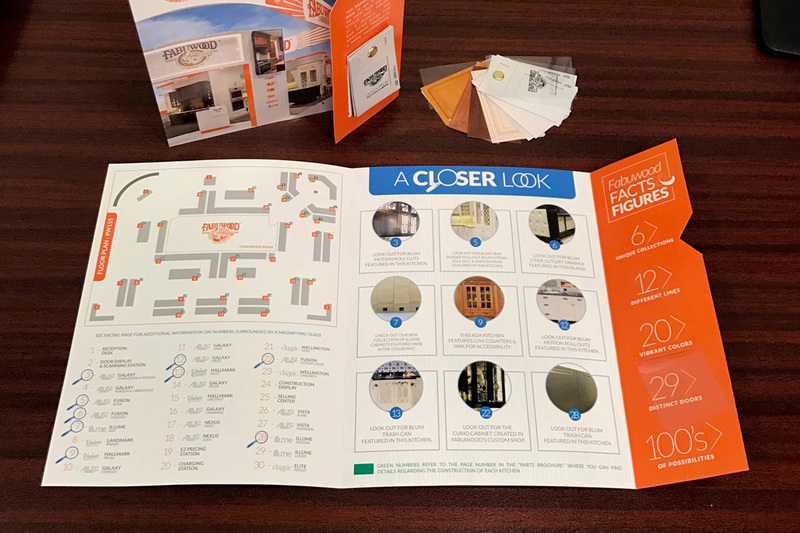 Due to the overwhelming presence at our booth in the past, and in anticipation of attracting a large crowd again, we created a Self-Guided Tour brochure. The pamphlet contained a booth map with details of our displays. This helped lead those who we were unable to accommodate with an accompanied walk-through. That’s not all! To learn more about our KBIS 2017 displays and about our new products and lines, see our next post.